With all of the different variables, it can seem daunting to choose a right-fit solution for your unique needs.There’s a sea of mobile device management vendors that approach the discipline in different ways. But you don’t have to do it alone. CDW can help. When you’re ready to select a vendor, CDW can help you evaluate offerings that meet your needs. 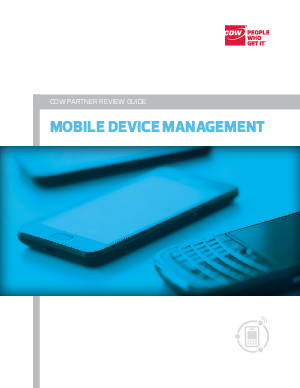 We highlight three leading mobile device management vendors on the following pages.